A view from a great walk on Islay’s neighbour Jura which took us to the shore of Loch Tarbert. This pebbled beach is just to the east of Glen Batrick. I’m not entirely sure what the name of the burn below is as there are two in the area and I’m not sure which one this is. It might be Abhainn Luindale. On the horizon you can see Oronsay (left) and parts of Colonsay (right). 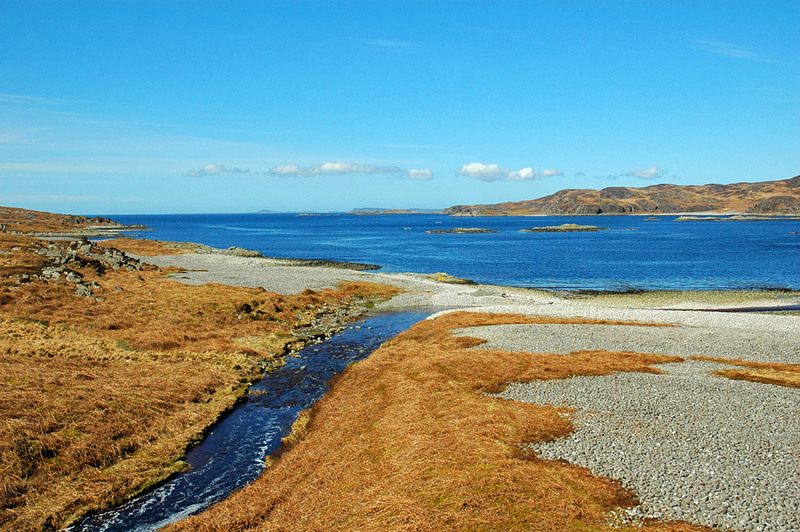 This entry was posted in Beaches, Jura Excursion, Landscape, Repost, Sea Loch, Sunny Weather and tagged Colonsay, Jura, Loch Tarbert, Oronsay by Armin Grewe. Bookmark the permalink.